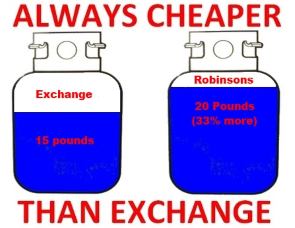 Robinsons is the area’s best snow blower tune-up and service shop, with the area’s only Certified Master Technician and Stihl MasterWrench Gold Level Technician. We tune-up, service and repair snow blowers and our full time mechanics have made caring for your equipment their life long career. Working on your snow blower is their livelihood, not a part time job or something to do when they’re bored. In fact, we have over 140 years of combined experience working on snow blower’s, including all major brands such as Snapper, Honda, Toro, Ariens, Sears, Craftsman, Murray, Husqvarna and MTD. We look at your snow blower as if it were our own. If we can find ways to help save you money, we will suggest them to you. If we do not feel it is worth repairing, we will tell you. To provide faster turnaround time, we ask you to approve service and repair charges up to $300, excluding delivery and pickup. If the repair or service will exceed $300, we will provide an estimate. This allows us to offer faster, more efficient service and allows the technicians to take care of minor issues they might find as they service your snow blower. You can use the form below to request pickup of your snowblower for service.